Summer camp is our favorite time of year! 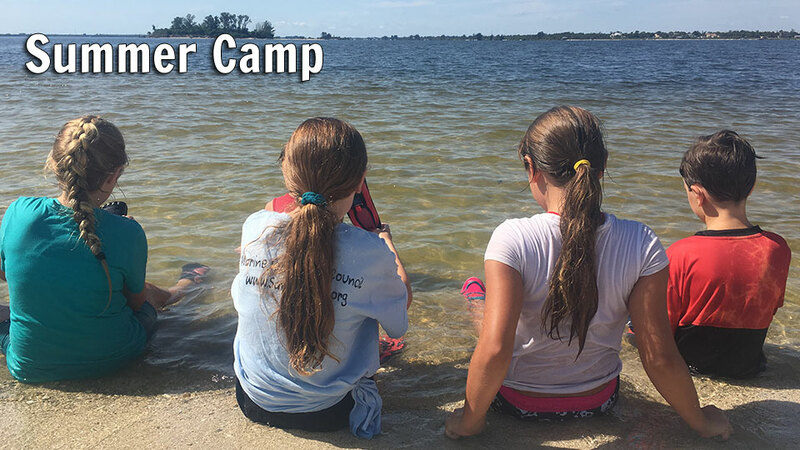 Every year, our summer camp sessions are designed to inspire and educate our youth about the importance of the Indian River Lagoon. We offer a variety of hands-on activities that allow campers to discover the connection between science and nature in the world around them. Get Set for Our 2019 Summer Camps! Campers should wear closed-toed shoes, a thick layer of sunscreen, and clothes to get dirty in. Please have your camper bring a lunch (except on Friday) and a reusable water bottle. Discovery Team Building: Meet your new Discovery team and learn how to work together in a variety of team-building exercises. Lagoon Critter Art: Draw your favorite Lagoon animal and create a painted paper sculpture. Right Whales: Learn how to identify individual right whales, why they’re important and how we can help save the species! Bees: Learn the importance of pollinators and how they support the Lagoon. Hydroponics: How can we maximize growth of plants without over fertilizing and polluting the Lagoon? Learn how to create a hydroponic garden and taste test locally grown hydroponic fruits and veggies. Recycling: What can be recycled? Practice sorting recyclables and non-recyclables and learn how long trash items take to break down. Learn the process of making recycled paper. Lagoon Watch: Learn how to test the Lagoon for specific water-quality parameters, such as pH, salinity, dissolved oxygen, turbidity, temperature and weather conditions. Mangrove Planting: How do mangroves help the lagoon? Learn about them and plant one along the shore. Lagoon Critters: Meet the animals around you in the Lagoon and learn about their lifestyle. Primitive peoples: Learn about the Ais Indians who once lived in the area and build a shelter and make your own atlatls. Seining: Walk the shoreline with seine nets to capture Lagoon species for identification. Geology: Learn how to take sediment cores, identify soil types and about healthy Lagoon soils. Shoreline Scavenger Hunt: Which team can find the list of nature items the fastest?! Pizza party and ice cream bar! Upon completion of registration, a waiver and photo release form will be emailed to you for completion and return prior to the first day of camp. If you have more than one camper, you will need to complete this registration form for each camper.